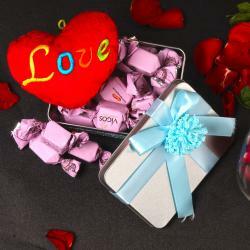 Product Consists : Chocolate Date Almonds Pack (Weight : 140 Gms), 5 Bars of Imported Chocolate Bars in a Designer Container along with 2 Different Design Heart Shape Stick. 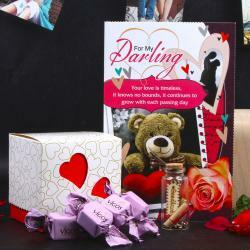 Gift this delectable Chocolate combo of which expresses your heartfelt emotions in Sweet way on Valentine Day. 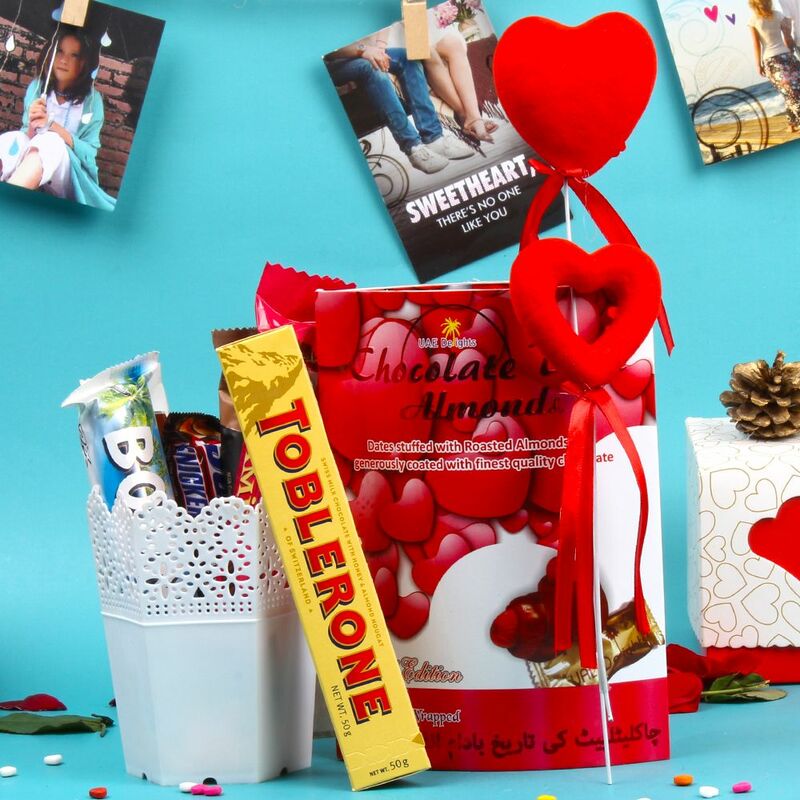 This combo comprised with assorted imported Chocolates like dark chocolate bars, wafer chocolate and caramelized chocolates these comes in very exclusive container. Also includes Chocolate Date Almonds Pack which contains the dates stuffed with roasted almonds generously coated with the finest quality chocolate. 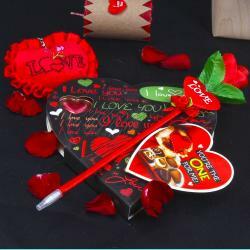 To give Valentine Day romantic effect we have added heart shape decorative two stick. 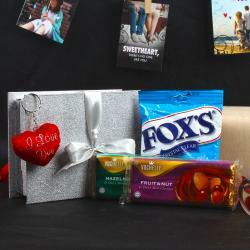 Product Includes: Chocolate Date Almonds Pack (Weight: 140 Gms), 5 Bars of Imported Chocolate Bars in a Designer Container along with 2 Different Design Heart Shape Stick.